About us - Stencils And Stripes Unlimited Inc.
About us – Stencils And Stripes Unlimited Inc. Thank you for taking the time to look into our history. You will find 4 different items of interest that we are proud of and would like to share with you. #1. Parts Locator did a profile story on our company in the year 2004 which we would like to share with you. #2. The National Chevelle Owners Association at one time published a monthly publication called The Chevelle Report. This was the first profile of our business as we entered our 6th year. This story explores the history of Stencils & Stripes before we changed our name to Stencils and Stripes Unltd. Inc. as we began offering screen printed kits for the Chevrolet and Trans Am series. We began developing kits for an industry that was in its infancy that started in 1983. NOTE: Pictured in this story is my sister Lynn. She devoted 31 years of her life to our family owned business always taking the time to insure proper packaging and inspecting products from production to insure products met the standards we set. If you purchased a kit during that time chances are good Lynn was involved. Lynn is now enjoying life as a grandmother, we cannot thank her enough for all her hard work and dedication. #3. We were truly honored when we were contacted by SEMA to create a display panel of various decals from the 60’s & 70’s for their 100th Anniversary time capsule. In fact they were so pleased by our display that we created a second one for their display at the Petersen Museum. 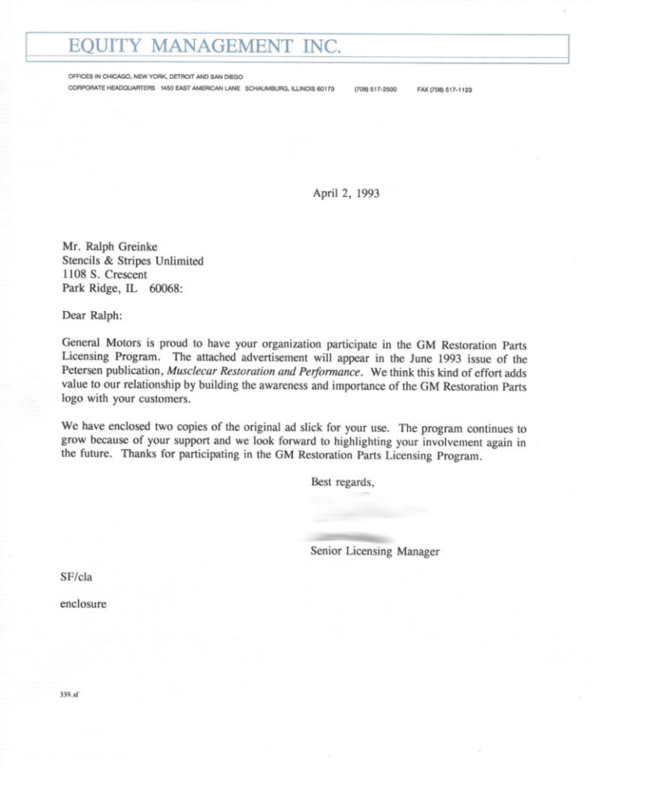 #4 A letter for GM’s Licensing Agent EMI and our participation in the GM Restoration Licensing Program. 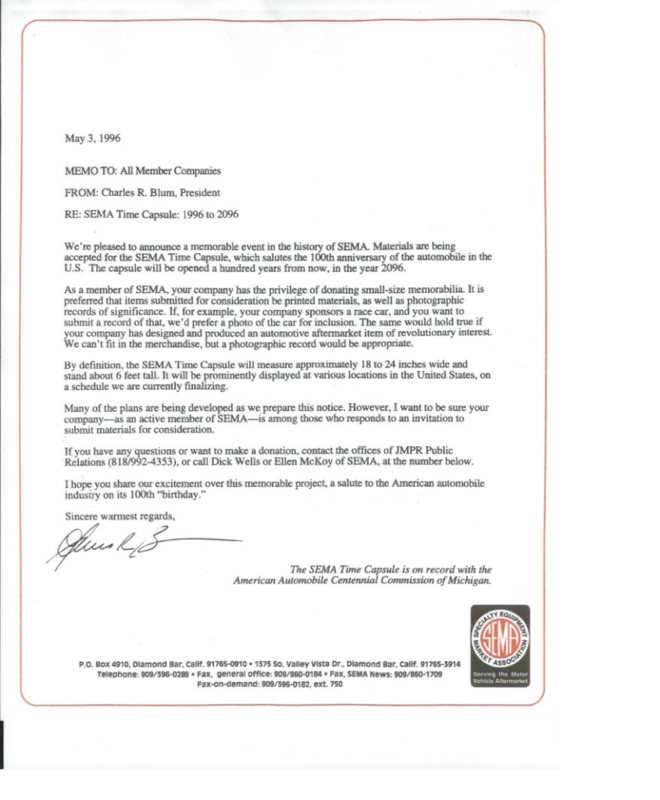 We began first contacted GM even prior to the creation of the License Program dating back to 1984. #5. How long have we been in business. Well the photo below says it all. When we started in 1983 two options were either a letter in the mail requesting information or a phone call. Since long distant phone calls were charged based on time mail was the choice. 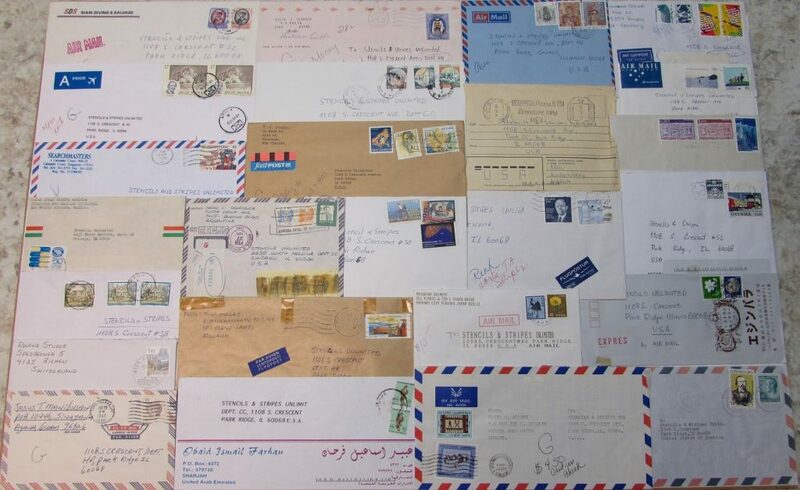 We have received mail from all over the world from South America, Russia and yes we even have a customer in the country of Andorra. #6. 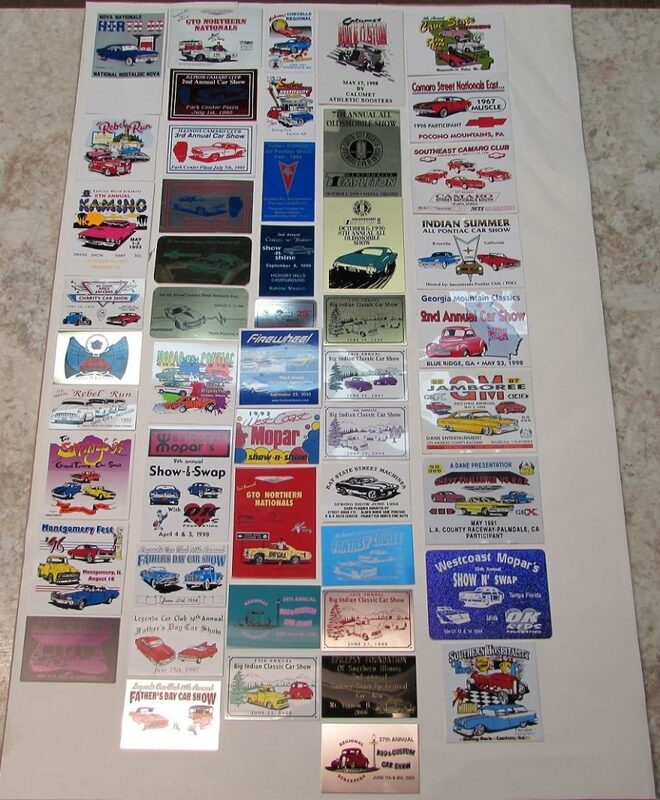 We have been a supporter of car shows supplying door prize certificates. Shown below are some of the many plaques that have been sent to us.